Any business is built on trust, and one way to convey this on the web is with trust signals. Unless a user can rely on you and your brand, he will hardly ever refer to you for attaining specific services and/or products. Running a reliable web presence you may feel confident in a steady revenue growth, user engagement boost, and an overall business success. When thinking about launching a web project, you can trust your web presence to WordPress completely. The Content Management System has grown into a true giant that is trusted by more than 25% of all resources that are available on the web. Blogs, personal and business projects, eCommerce sites, creative portfolios, and a number of other projects run on WordPress. If you have also chosen this content management system for your future web project or for updating an already launched site, then you will need to know what particular trust signals a WordPress-based theme should include in order to be in demand among your target audience. As the name implies, trust signals are an element of a website that inspires trust in everyone who watches it. Trust plays a pre-defining role when a user decides whether to deal with a specific business or he should keep on looking for a better alternative. As a matter of fact, it will take a person a few seconds to decide whether they can rely on your organization. By simply scanning through your site’s homepage they can encounter with your brand and draw a conclusion if your site is viable or not. Trust is exactly what makes a common visitor to your site join the community of your loyal fans. There are thousands of trust signals that your site can benefit from. Some of them are more effective than others. Some are being spotted by an average user once he lands on your page, whereas it may take some time to define others. To cut a long story short, for this publication we have hand-picked the most effective trust signals of WordPress-based themes, which will capture the audience attention as soon as they reach your online project. Even if your marketing team provides the nest conversion-oriented texts, nothing can compare to an honest review left by one of your clients. Just recollect the last time when you were looking for a company/agency/freelancer to hire or order something. Did you look through customer reviews on several sites before the final decision-making? I believe that your answer is more likely to be “yes” than “no”. An honest review left by one of a company’s clients will look more trustworthy and reliable in the eyes of your potential customers. When searching for the best ready-made business web templates, make sure that it supports the possibility for users to share their experience about using specific solutions right on a web page. Displaying lists of user reviews on the homepage of your site you grow chances of attracting a wider web audience to your offerings, which is more likely to result in a positive purchasing decision. Why are user reviews so effective? Studies show that 88% of customers will read user reviews before making the final decision. For 72% of web users, an honest review written by a fellow shopper equals a personal recommendation. A WordPress theme supporting the possibility to display a feed of user reviews is expected to help you build a more reliable and trustworthy web presence. Lucky for you most premium theme, like our Total WordPress theme, include testimonials or reviews built-in. If your theme doesn’t already include a testimonials custom post type it’s super easy to add with a free plugin. We like the Easy Testimonials plugin because it really is easy to use and has a surprising number of options for customizing the display of your testimonials. When a customer reaches a website for the first time, he may even not know a thing about the origins and background of an organization standing behind the site. “About” page is the first place where people will refer with the purpose to learn more about a brand and its experience. A properly built “About Us” page can become a rock-solid foundation of long-lasting relationships between a company and a client. When browsing About pages, a user will have more interest to learn more about the personality/brand standing behind a site. Using videos, images, podcasts and other types of content will help you deliver your message to the target audience more effectively. Moreover, share photos of your team members in order to look more credible in the eyes of the web users. Forget about using stock images on such pages. A photography letting the web community meet every member of your team in person will have a more powerful effect on your clients. So, when looking for an optimal WordPress theme make sure that it is pre-loaded with a detailed About page. Supporting different forms of visual and written content will be a great benefit to you. Texts complemented with videos will create an informative, powerful and reliable story about your project. Again, if you theme doesn’t have an about page you an add one with a plugin. However we really prefer the free About Us Widget plugin instead. This way you can add a simple about section to any sidebar or footer. The easier it is to locate contact details on a website the better. A perfect WordPress theme to build a trustworthy business presence should include a set of clearly defined contact details on both the front page and a separate “Contacts” page. Thus, whenever a person reaches your site and looks for your physical address information or phone number, he will find it effortlessly from any area of your website on which they have landed. Here is a good example of a cleverly build contact page pre-designed for one of business WordPress themes from TemplateMonster. Adding contact details to your site’s pages will be beneficial in local SEO purposes as well. Let’s assume that you run web design agency in Texas. So, each time a person looks for a web design agency in TX, he/she will be provided with a suggestion to visit your site. Moreover, you can complement contact details with Google Maps. With its help, it will get so much easier for your customers to reach your physical address while finding the shortest route on the integrated map. To add a contact form to any WordPress theme you can’t go wrong with Contact Form 7. With well over 3 million installs it’s become the industry standard (though we do also highly recommend Gravity Forms if you need something a bit more customizable). The use of social media shouldn’t be underestimated. Almost every contemporary web user has a social media account. For a number of contemporary companies, social media platforms have become the main source of reaching new clients, keeping them engaged, and even to sell. The tools and tricks that contemporary brands can opt for are limitless. For example, you can run paid campaigns to reach the right demographics and display your content to the audiences that will be most interested in it. Linking your site to your official social media profiles is a proven way to unite a broader community around your site. The more numerous is your social media follower base, the more reliable your business will appear in the eyes of prospective clients. By means of social media widgets, you can reveal the respective data on your site. The bigger your social media community grows, the more reliable you will appear. If you want to capture your visitors’ attention with social media stats, it’s recommended to place a social media widget in the header of your site. If you have just created a social media profile and the audience is not that numerous, then it’s recommenced to wait until it grows bigger. One more hack that you can opt for is adding social media feeds to your site. For example, you can display a widget with the latest Instagram or Facebook updates at the bottom of your web page. There are hundreds of social media plugins available, but we really like JetPack Social. Chances are you’re already using JetPack for WordPress for image optimization, galleries, brute force protection or any of it’s other awesome features. But did you know that this handy all in one plugin also includes social media icons? And they’re pretty nice if you ask us, so why not give them a try instead of installing another plugin. Running a blog will help you establish a long-lasting relationship with your audience. The content that you share on your official blog should be relevant to the niche to which your company is related. It should be useful to your audience. You can share reviews of the solutions that you offer, guides, tutorials, fun content, free eBooks, and so much more. A blog filled with relevant and useful information will bring value to your audience. A frequently updated blog shows that you care about your customers, both the existing and potential ones. It reveals that you care about the ways of helping them in a variety of undertakings instead of just forcing them to make a quick purchase. While updating your blog with great content you demonstrate your expertise in your business niche, thus revealing that your clients can trust and rely on you. So, one more feature that you need to search in WordPress themes for your trustworthy business presence is the support of blogging functionality. A functional, user-friendly and easy-to-browse blog can do wonders to online businesses. With a growing number of online cheats, people get more careful when it comes to making online purchases. WordPress is no longer a CMS for building business sites and blogs solely. Most of the contemporary WordPress themes that you can find on the contemporary web come with WooCommerce support. Due to this, you can create a fully-featured web store on the basis of a WordPress theme. As a rule, theme providers stuff their upload their products with several online payment methods. In order for your own business to look more trustworthy, here are the key points that you need to take into consideration. In order to show that you really care about each and every customer, provide them with several options of payment methods. Thus, people can pick an option that is most common to them. The more payment methods you provide the more trustworthy and reliable you look in the eyes of the web community. Using widely-recognizable icons and images on your site will also boost client trust. 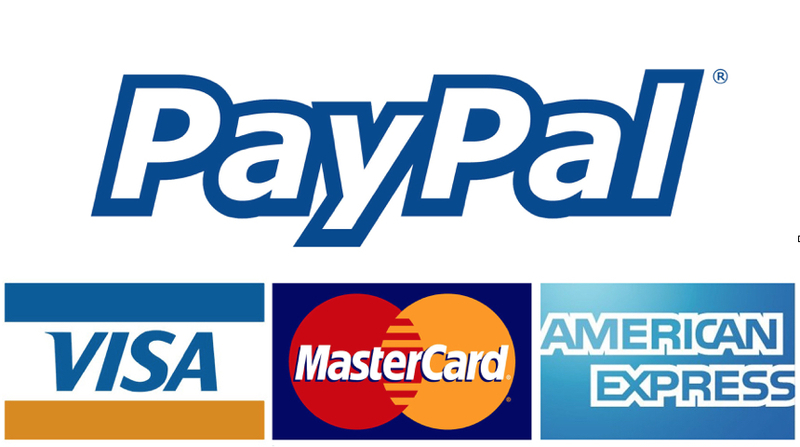 We all know how VISA, MasterCARD, PayPal, AMEX, and other icons look like. So, when reaching a site featuring images of payment methods that a user is familiar with, the web project automatically establishes a more reliable and trustworthy presentation, grabbing attention of first-time visitors. Pay attention to the availability/support of such elements on a WordPress theme that you choose for your business. Make every client feel confident in you. Make them feel assured as they with their more. This will bring you more clients and a significant revenue boost. We like the McAfee SECURE free WordPress plugin to add a security trustmark to your shop pages, but there’s tons more you can do to tight security on your store. Be sure to use our tips to secure your WooCommerce store to create a safe online shopping experience for your customers. An SSL certificate provides authentication so that when a customer of yours sends information to you they know that it’s going to the right server and not an imposter (making it one of the most important trust signals). It’s required for eCommerce sites (because of the transactional data being processed,) and many blogs and communities (where occasional personal or transactional information goes through) should have this as well. There are two elements to an SSL. The first one is the actual certificate, which protects customer information and typically needs to be purchased from a third-party, outside of WordPress. The second part is a badge that tells your visitors your site is protected. An SSL certificate can often be obtained by asking your hosting company. Most of the time you have to pay for a private SSL, but many times the host offers free, shared SSL certificates through Let’s Encrypt. You can also set up your own SSL through Let’s Encrypt or Google some of the many other free SSL options. After you’ve acquired an SSL certificate, your best bet is to install the Really Simple SSL plugin. This activates the SSL functionality on your website and redirects all incoming site requests to https instead of http. You’ll also notice the https:// before your URL. Many customers notice this change in the URL, but another way to make sure they see it is by embedding an SSL Security badge in your checkout, sidebar, or footer. The more often you display the badge the more likely people are to recognize that their personal information is safe. A domain name is the URL or address at which your customers and website visitors go to. For instance, it might look something like this: www.mygreatwebsite.com. Most of the time it has your company’s name or some sort of keyword that users are going to search for. When you opt for a website builder you might end up with a platform-specific subdomain like mywebsite.weebly.com or mywebsite.wix.com. Many of these all in one website builders provide these domains for free, and some hosting companies allow you to have them on WordPress. The main problem with having a subdomain like that is it lacks uniqueness. You’re basically advertising for the website builder and it makes your domain longer than it should be. This makes it more difficult to remember, and the search engines typically don’t give these domains as much exposure. Therefore, it’s best to buy a custom domain from your hosting company or a domain seller. Custom domains are so inexpensive (usually around $10 per year) that it’s a no-brainer. Sites like GoDaddy, Namecheap, and Register.com all have search bars for finding available custom domains. But you should check your hosting company first, since it’s easier to work through the same company. This ties into the SSL badges we talked about before, but there are several other logos and symbols you might want to consider to put your customers at ease. For instance, many users won’t trust a website unless there’s some sort of virus and malware protection, such as Norton or McAfee Secure. Obviously, the user can’t go to the backend to see what you have installed, so the logos are essential. Most of the time you’ll see a slew of logos towards the bottom of eCommerce websites. This is all due to the amount of personal and transactional information flowing back and forth. For example, eCommerce sites are known to show “Verified” logos for payment gateways and processors. This would be for gateways like PayPal, Authorize.net, and Stripe. It’s also not a bad idea to reveal the types of payments you accept. Not all companies allow for all credit cards–or alternative payment methods like Apple Pay, Bitcoin, and PayPal. So, it can be a strategic advantage if you offer more payment options. You can typically find these badges (and the embed codes) from the companies they come from. PayPal has a page for its logos. So does McAfee. Every website needs a Google Business profile – especially if you run a local shop. The reason for this is because most local searches are now done through Google or Yelp. Therefore, you want to have as much information as possible listed towards the top of Google. An organic search result is fine, but it lacks items like pictures, star ratings, reviews, business details, hours, and other features that make a business profile one of our top trust signals. A Google Business listing shows customers that you’re active online and interested in showing people as much information as they need, right from the start. If your business has high ratings, it’s also a wonderful way to show off that social proof. Finally, the best way to take advantage of Google Business is by responding to user reviews. It’s very powerful when other customers see how you interact and respond to user requests and concerns. All you have to do is sign up on Google My Business, then claim your business and create a profile. There are fields for uploading images, sharing business hours, talking about what you sell, and much more. A non-clunky, speedy site design typically depends on whether or not you found a theme from a reliable theme seller. However, you have full control over how much you would like to spam your visitors. Think of spam as anything that might hinder the user’s ability to read your content or move forward throughout your site. There are two primary types of spam that should be avoided or limited: popups and advertisements. Popups are nice for building your email list, but the best email collection forms give you tools for blocking these popups when a user has seen them already. For example, OptinMonster provides advanced targeting and custom display rules. These are essential for only revealing the popups when they are least annoying. As for ads, they’re great for making money, but you want to prevent them from cluttering your actual content. Newspapers are notorious for breaking this rule, since they often cram ads into the articles, or you’ll see many duplicate ads on the same page. Most of the time, this many ads only slows down your site and ticks off users. Here we go. These were 12 popular trust signals that you should take into account when building a reliable web presence of your business. If you prefer building a site on your own, consider integrating these elements in your design. If you prefer working with WordPress templates, pick a ready-made design that features the aforementioned criteria. Never forget to experiment. It’s not necessarily that the hacks that worked on one site will be that popular on another. Choose trust signals that are the most applicable to your own business, and let them grow your client base manifolds. Do you have anything to add? Or any trust signals you look for when on the web? Share your thoughts below! Great tips. SSL cert is certainly a must if you’re running an ecommerce website! Hey, thanks for this information. I was just attempting to give a feeling of security with my added badges and this post was exceptionally important for information. Appreciated.